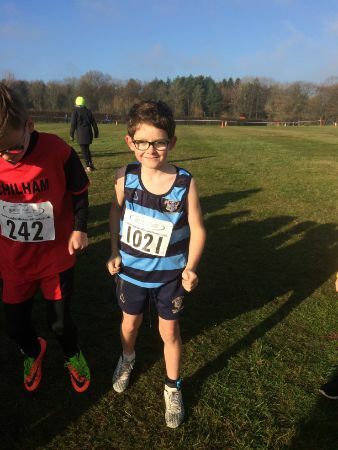 The Kent Junior Schools’ Cross Country Championships which took place at the Kent Showground on Saturday was a sight to behold! Over 80 primary and preparatory schools from across Kent, and more than 1380 children converged on Detling hill on what was (unusually for this event) a bright, sunny morning. As the only Saint Ronan’s runner from Year 4, Louis A was understandably nervous as he took his place amongst the 206 starters in his race. However, once the airhorn sounded, Louis put his nerves to one side and ran his heart out, moving steadily through the field, working hard on the hills and digging deep into his reserves to race across the finish line in a marvellous 20th place (05:35). It was a great morning of running; I was immensely proud of all the boys, and hugely grateful to all the parents for their help and support.